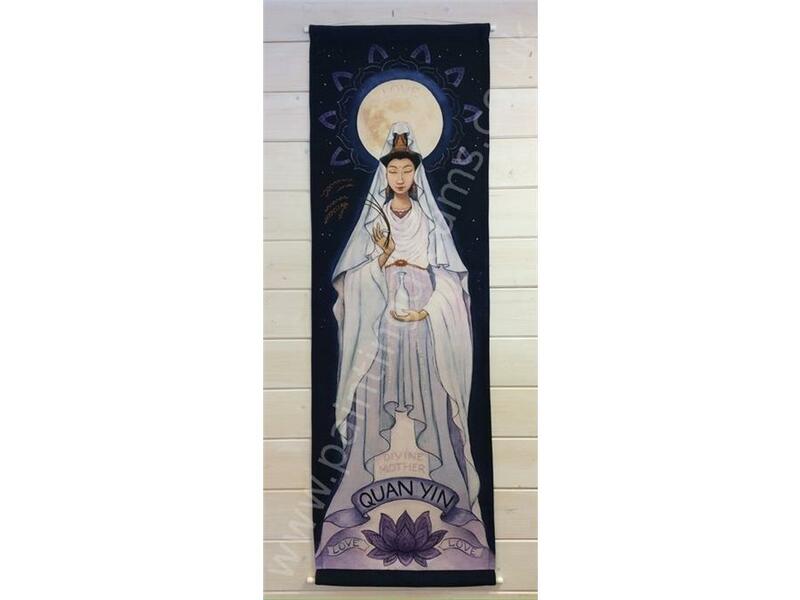 This wall hanging of Quan Yin, the Chinese Moon Goddess of Mercy, is beautifully printed on a heavy weight fabric. 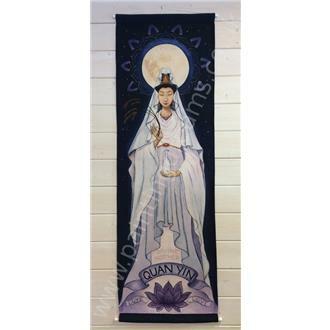 She is often referred to as the 'most widely beloved Buddhist divinity' with miraculous powers to assist all those who pray to her. She hears the cries of the world and gives comfort, healing and guidance. Her heart is full of deep motherly compassion and unconditional love. The hanging measures 400mm x 1250mm, with a wooden dowel top and bottom. Perfect to hang on a door or wall.